BROCKHAMPTON is a creative powerhouse the likes of which we’ve never seen before. 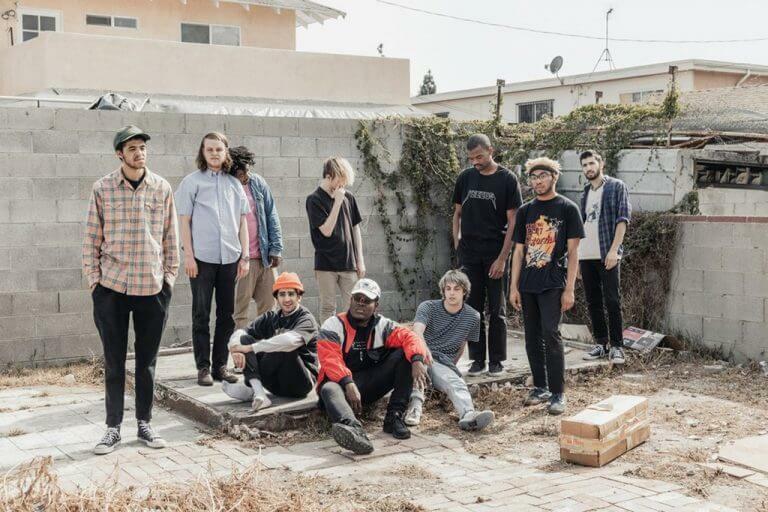 The Brockhampton collective features over 15 contributing members including vocalists, producers, photographers, videographers, and designers. Led by Kevin Abstract, the group is seizing the reigns of pop culture for those the genre has left by the wayside over the years. Brockhampton makes it clear in their interviews that they have one goal: reinvent the perceptions that permeate the industry, from musical collaboration and multi-form artistry to sexuality and egoism. Brockhampton is laying a fierce claim to the title of THE GREATEST BOY BAND IN THE WORLD – and if you don’t agree, tell your favorite boy band to meet them in the parking lot out back and we’ll see who comes out on top. Brockhampton technically began in 2015, but the group’s early beginnings go much further back. In 2011, Brockhampton’s members were scattered across the country. 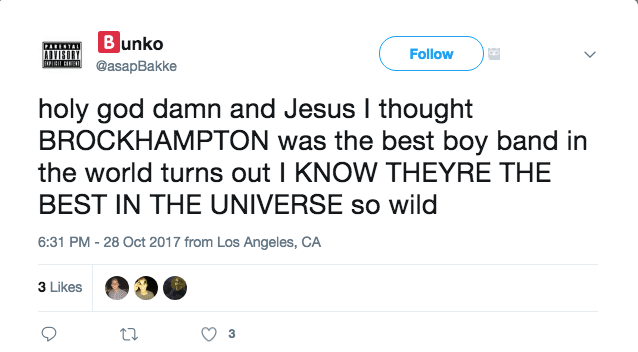 Many of them, including Merlyn Wood and Ameer Vann, weren’t even making music at the time. 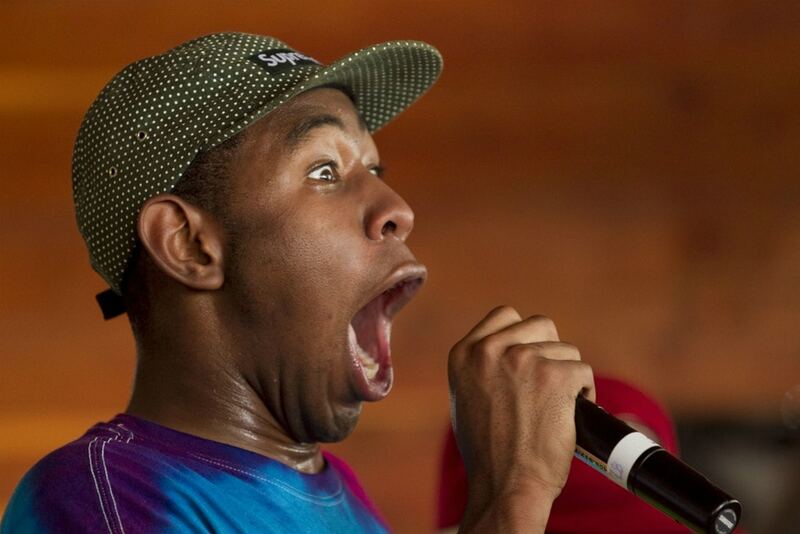 Others were pursuing various solo projects, like Dom McLennon and Kevin Abstract. But then, everything changed with the now famous thread that Kevin Abstract posted on the online forum KanyeToThe, simply titled “Anybody wanna make a band?”. The result of that thread was a group called Alive Since Forever, which had over 30 members at its zenith and included Ameer Vann, Romil Hemnani, Dom McLennon, and Kevin Abstract – the nucleus of what would one day become Brockhampton. The four-man core split from Alive Since Forever in 2015 and created their own group, bringing collaborators like JOBA, Merlyn Wood, Bearface, Matt Champion and Q3 to the mix. They decided to name the budding collective “BROCKHAMPTON”, after the street Kevin Abstract grew up on in Houston, Texas. After spending a year in Texas building chemistry and working on miscellaneous solo projects, Kevin Abstract saw that they had potential to do something really special if they all fully committed to the project. In a move inspired by the movie ‘The Social Network’, Kevin called the group to go all-in by moving to L.A. together to focus entirely on Brockhampton. Brockhampton’s debut mixtape All American Trash followed soon after. All American Trash earned Brockhampton some early recognition, including a season of their very own Viceland show, American Boyband. But even with the early traction, Brockhampton’s journey to the promised land didn’t really start to pick up steam until 2017. From their group-home in south L.A., Brockhampton devised a one year plan to ‘saturate’ the marketplace with their music and brand in an effort to take them from online nobodies to mainstream sensations. The plan, which came to be known as the SATURATION Trilogy, worked to perfection. Brockhampton’s raw, guerilla-style, fun-at-all-costs approach began to generate buzz as they dropped their first single, FACE, which was accompanied by a music video that quickly drove the internet wild. Singles HEAT, GOLD, and STAR (with accompanying music videos) follow shortly after in advance of the group’s full, debut album, Saturation. 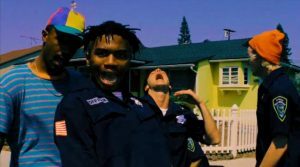 The viral music videos were directed by Kevin Abstract and took place in the neighborhood surrounding the group’s new communal mansion, known as the ‘Brockhampton Factory’. The debut album went on to receive critical acclaim and set the stage nicely for Saturation II and Saturation III. Brockhampton’s influences focus on the artists who aggressively pushed the envelope with their sound in hip hop throughout the late 2000’s and early 2010’s. In fact, the group originally met and began collaborating on music on a forum named after one of hip hop’s greatest producers, Kanye West: Kanyetothe. Brockhampton is often compared to Odd Future, but their influences throw a much wider net than that. Despite successfully assuming ownership of the label “boyband”, Brockhampton’s music is a far cry from the pop roots of most popular boy bands from the past. 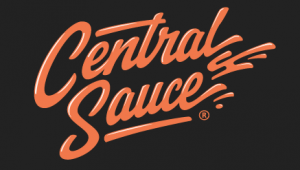 Their music keeps one foot firmly planted in the musical space created by hip hop revolutionaries like Kanye West, Frank Ocean, Future, and Tyler, The Creator, while exploring other genres like pop, alt rock, r&b, and even the occasional rock ballad throughout their work. They have been known to work with surprising collaborators like former Radio Disney star Ryan Beatty. Few other artists can match the amount of emotion and sheer energy for even a single song that the group brings by the album-load. Although it remains to be seen whether the members of Brockhampton have what it takes to pursue successful solo careers, the sum of their collective is greater than anything we’ve seen in the rap game with just a few exceptions. The group’s second studio album was released on August 25, 2017 to widespread critical acclaim. The album was supported by four singles, “Gummy”, “Swamp”, “Junky” and “Sweet”. The lead single, “Gummy” was released on August 2, with “Swamp” following less than a week later. The third single, “Junky” was released on August 15, 2017. The fourth and final single, “Sweet”, was released August 22, 2017, alongside “Follow”, the lead single from the upcoming Saturation III. However, it was later revealed that “Follow” would not be on Saturation III. 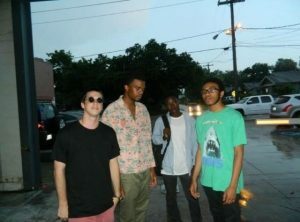 As the four singles were released, they were accompanied by their own music videos in classic Brockhampton style. The third installment of the SATURATION trilogy ended up as Brockhampton’s most cohesive and musical album yet. Although Brockhampton’s musical influences still shone through on the tape, SATURATION III showcased a more experimental and original sound than heard on either of the first two Saturations. 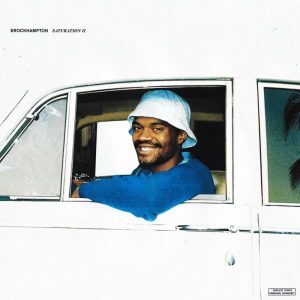 Brockhampton’s blend and collective chemistry had improved drastically from Saturation I to Saturation II, and the same proved to be true for the jump to Saturation III. Debates quickly broke out among fans trying to rank the albums (3>1>2?, 1>2>3?, 2>3>1?) and have yet to be resolved. Saturation III was somewhat of a departure from the bass-heavy, bumping sound of its predecessors, leaving some fans feeling a need for a standout banger. But as time went on, the album, just like its breakout single “BOOGIE”, grew on listeners and was increasingly included at the top of Saturation rankings. Ian “Kevin Abstract” Simpson – vocals, video director (2012-present). Kevin Abstract is the group’s leader and the creative force behind the vision of Brockhampton. Kevin is the only member of Brockhampton who had a solo career prior to Brockhampton’s ascent, yet is the biggest advocate behind the group avoiding solo projects until they hit critical mass. Ameer Vann – vocals (2012-2018). Ameer Vann is from Houston, TX and went to high school at the Woodlands, along with Kevin Abstract, JOBA, Matt Champion, and Merlyn, Ameer Vann met Kevin Abstract after being randomly assigned to a leadership class and shortly after became the group’s second founding member. 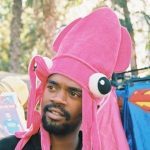 Ameer was the face of the SATURATION trilogy and has a deep, velvety vocal style reminiscent of MF DOOM & Tyler, the Creator, two of his greatest musical influences. William Andoh “Merlyn” Wood – vocals (2015-present). Merlyn Wood went to high school with Kevin Abstract, JOBA, Ameer Vann, and Matt Champion, but decided to pursue a degree in architecture at the University of Texas under pressure from his family. 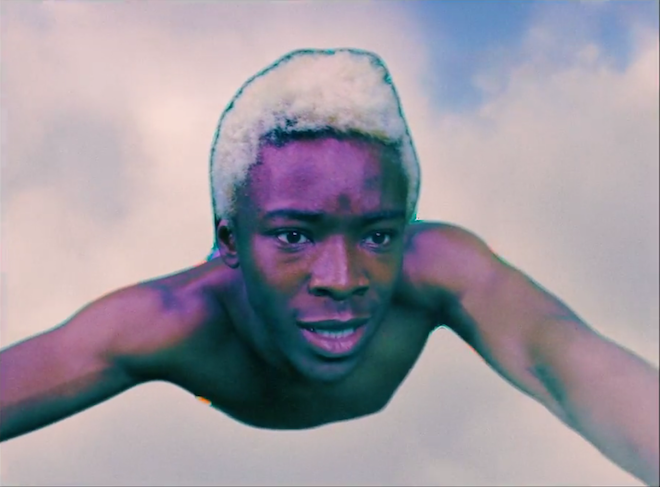 Less than a year in, Merlyn decided to drop out and head to California after coordinating with the other members of Brockhampton on Kanyetothe. 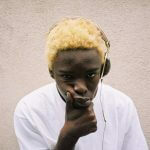 Merlyn has a distinctive sound that blends vocal styles reminiscent of alternative rap vocalists like Danny Brown, Chance the Rapper, Ab-Soul, and Freddie Gibbs. Dominique “Dom McLennon” Simpson – vocals, production (2013-present). Although the majority of Brockhampton’s members have their roots in Texas (including JOBA and Merlyn Wood), Dom McLennon hails from Connecticut. Dom came into contact with the crew through the internet back before Brockhampton existed, in their days as Alive Since Forever. 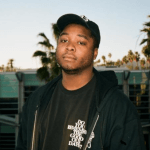 As Brockhampton’s lyrical mastermind, Dom McLennon brings emotional intensity and intellectual substance to the group’s music and overall vibe. 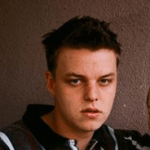 Russell “JOBA” Boring – vocals, production, engineering (2015-present). Russell “JOBA” Boring went to high school with Kevin Abstract, Ameer Vann, Matt Champion, and Merlyn Wood in Houston, TX. After graduating, JOBA went to work at a production studio in Houston, TX where he mixed and mastered a great deal of Brockhampton’s earliest music. 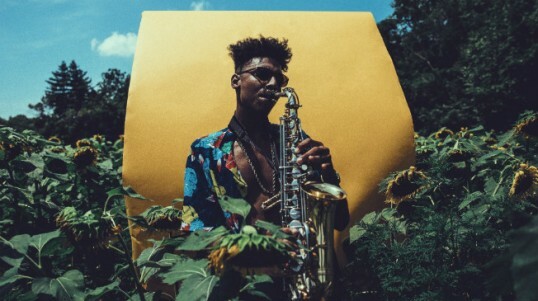 Over time he began working closely with the group as they matured musically and left his job to officially join Brockhampton upon Kevin Abstract’s request. As the only classically trained musician in Brockhampton, JOBA brings an in-depth understanding of musical theory and an excellent ear to the group’s music. Matt Champion – vocals (2015-present). Matthew “Matt” Champion was born and raised in The Woodlands, the suburb on the outskirts of Houston, TX that Brockhampton’s Texas contingent calls home. 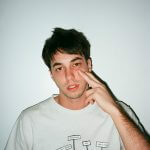 Matt Champion might be the most low-key of all Brockhampton’s vocalists, but what he lacks in presence he more than makes up for with confidence and authenticity. Matt has a unique talent for taking complex concepts/ideas and making them simple enough to sing along with, making him the creator of some of Brockhampton’s catchiest musical moments. Romil Hemnani – production (2015-present). 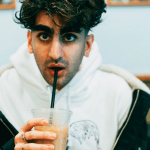 Romil Hemnani is from a little town in northern Connecticut called South Windsor, a short drive from the hometown of fellow member Dom McLennon. Romil produced the majority of the SATURATION trilogy and a large portion of Kevin Abstract’s early solo work, making him the chief architect of Brockhampton’s unique sound. Ciarán “bearface.” McDonald – vocals, production (2015-present). Ciarán “Bearface” McDonald was born and raised in Belfast, UK. 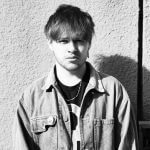 In addition to being the only member of the group that plays live instruments, Bearface provides vocals, songwriting, and production to the group. Although his aversion to the spotlight can make him easy to overlook, he’s crucial to Brockhampton’s sound – after all, there’s a reason that the group decided he should be the one to close out their first two albums solo.